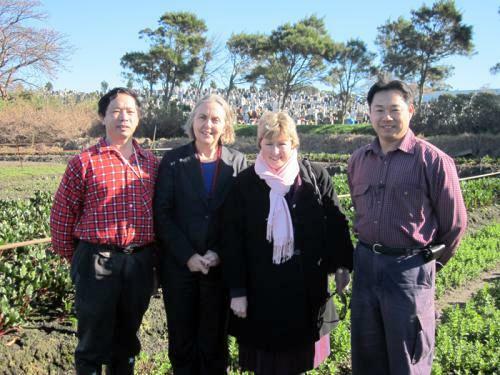 6 August 2010: Australian Greens Deputy Leader Senator Christine Milne and Greens NSW senate candidate Lee Rhiannon today met with market gardeners in Botany whose lease is to be terminated to make way for a cemetery. The land was listed on the State Heritage Register in 1999 for significance to the Sydney Chinese community. “The families on these market gardens have been there for 78 years. Land that has been successfully producing food for decades is precious and needs to be kept productive,” Senator Milne said. “Of course we need cemeteries and housing, but we need smarter planning policies for Sydney, and around the whole country, to meet these needs and protect our farmers, market gardeners and food security at the same time. “Many other cities and countries have developed specific strategies for securing future food production and access to food, but Australia is lagging far behind. “The Greens are calling on all levels of government to work together to safeguard food producing land and ensure food security in the Sydney Basin,” Senator Milne said. 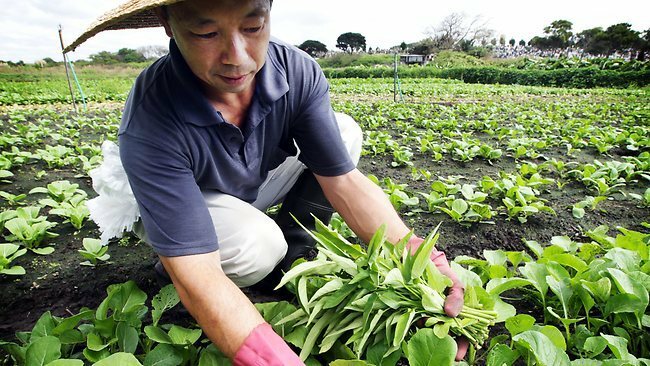 Taking over this land to increase the size of a cemetery, not only destroys the heritage value of the site for the Chinese community, it is a waste of a valuable resource and source of food, and destroys the livelihoods of these market gardeners. “It is wrong to build cemeteries – or suburbs – on increasingly valuable farmland, when there are alternatives. “Peak oil, the impacts of climate change, uncertain water supply and unsustainable farming practices are all factors that threaten a steady food supply for NSW and this is a microcosm of the bigger picture,” Ms Rhiannon said. place was supposed to be used as market gardens for more than 150 years, firstly used by Europeans and then by Chinese’. The farms in the Sydney region represent an important contributor to Sydney’s food supply, especially perishable vegetables, poultry and mushrooms. This includes more than 50% of Sydney’s market gardens, 40% of poultry production, and 40% of greenhouse production. In the Sydney area we have comparatively more productive than land elsewhere in NSW (returning $5,500 per ha compared to $136 in NSW as a whole). We should be working to keep this high-value, high yielding land for food. Food security is a planning issue – we need strategies to ensure that land is designated for its best use. After the Murray Basin and the Murrumbidgee, which are more prone to uncertain water supply, the Sydney Basin is the third most important area for vegetable production in NSW. glasshouse and hydroponic cultivation is worth around $1 billion with flow-on benefits to the state economy of between $2-$3 billion. Market gardeners in the Sydney Basin farm two geographically distinct pockets: the Hills to Liverpool area on the south-west urban fringe and the outer Blacktown to Hawkesbury region to the north. Both of these areas are experiencing rapid residential and commercial development as Sydney’s population expands by up to 1000 a week. About 30% of Sydney farmers are from culturally and linguistically diverse backgrounds (CALD) across all sectors.